With 90M native speakers worldwide, German is one of the most spoken languages around the world! Many people regard German as one of the easiest languages to learn when it comes to picking up a new language out of the blue. There are many reasons to this that we’ll be exploring in this article. As you get started with your German don’t let the title of this blog piece sway your decisions or activities when learning German, language learning still needs commitment, immersion, and dedication in the pursuit of learning what you need to know for your upcoming holiday or interaction with a native, whatever the occasion, make sure to keep working your hardest to learn your target language. Why is German easy to learn? About 1 year ago now, our German intern, Rita wrote about the insights into how German is potentially very easy to learn. Rita discusses that the English language and the German language are very similar with words such as Zebra, Tiger, Giraffe, Elephant being the same as the German. Rita shares that many words in German are very much the same in English and have few differences. For examples words like Fisch, Haus, Maus, Papier, braun, or gut are written differently, however, are pretty much how they are pronounced in English. In case you didn’t get these. By the looks of it, you know a lot of German vocabularies already! A lot of the English vocabulary around today has been influenced by the German culture and language. This is phenomena in many languages and occurs the other direction too. As you are starting to see by these phrases and maybe more popping into your head right now, the German language does have many gems that are hidden within the English language, but there are many other reasons to why learning German is one of the preferred languages for an English learner and why so many perceive it as one of the easier languages to learn. When getting started you’ll be learning a lot of German nouns, which is great! Nouns help to build up your speaking skills by adding some important words that you might need to know for traveling and exploring a German town. Especially handy when you know the German noun for “beer” (which is “Bier“, not too far from the English right!?). A handy hack can be revealed when reading German, all German nouns have a capitalized first word. This means that when you are reading signs or even writing (magazines, letters, documents) you’ll be able to instantly detect the German nouns at a glance. Literally. The rule applies to all German nouns, not just the proper nouns, but all nouns in the German language.Try picking out the German nouns from this sentence when you next come across a magazine. This is a game changer, as it will help you to determine nouns apart from verbs and more inside of text. Something that German has above many other languages is only having one present tense. The present tense is used to stress current situations. For example: “I go” would be an example of present tense. In English, we have the continuous present tense implementing the gerund of the verb “I am going“. This is great as you will only have to learn one way to express the simple present tense for the German language. The German language also only uses the present perfect tense when talking about actions or states in the past. This is beneficial as you will only need to stick with one of the past tenses against changing to another state of past tense like the imperfect state of the verb. Both of these rules help to make conversational German a lot easier and to activate your German language skills. 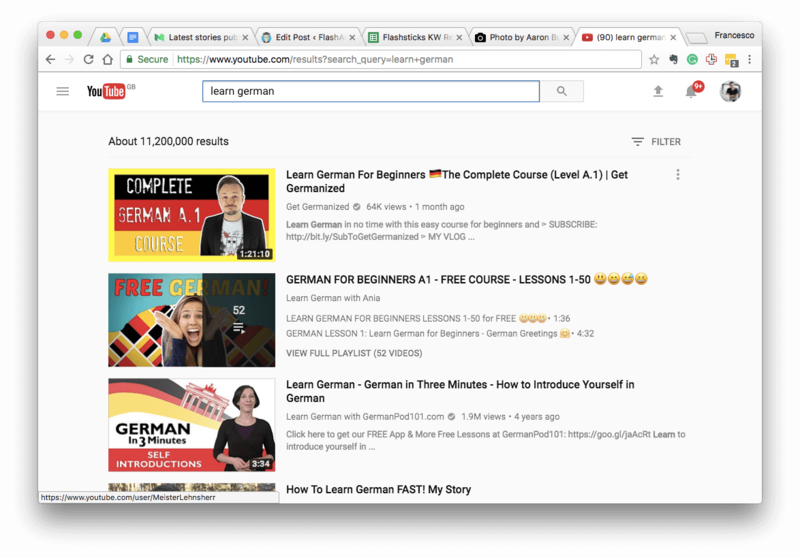 The German learning community is very broad and supportive, so you won’t be lacking the resources you need to learn the German language. Whether you are looking to improve your awareness of German culture, specific language skills, or get access to a professional tutor online to help improve your already growing German, there’s always someone to help. 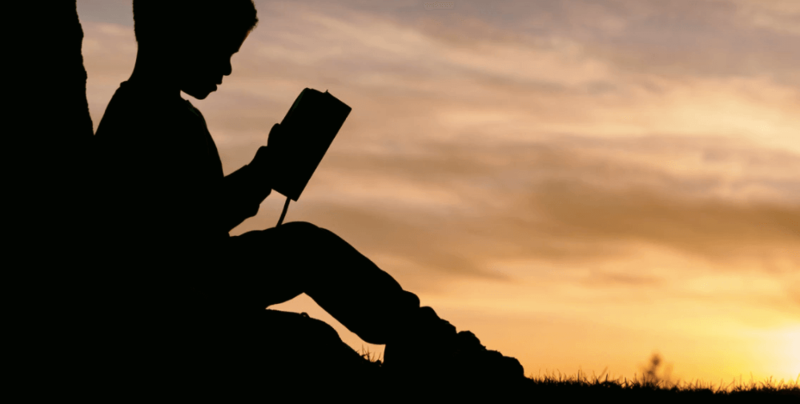 We wanted to recommend a few resources as you get started. One of our main rules is that when you get started to choose different methods of learning to help widen the spectrum when learning the German language. This helps to improve the immersion aspect and quality of your learning, as you’ll be exposing yourself to new ways of learning German. Recommended are audio resources, visual options (YouTube, video sites), communication, reading, writing, and spelling. All great ways to really take your German to the next level! Here are all those German language resources to get you started! If you enjoyed these recommendations, feel free to reach out in the comments and share some of the resources you’ve been using over the last few months of learning German, we’d love to hear and whether you’ve found it easier learning German against other languages?